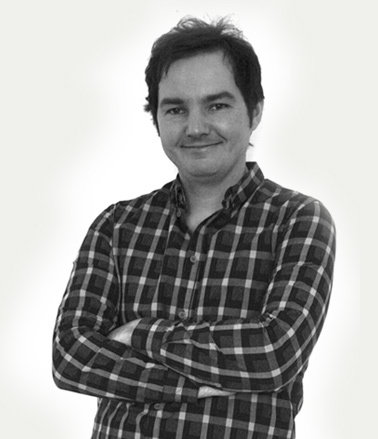 Hi, I'm Steffen, a User Experience Professional and Axure pro. Creating unique digital experiences is my passion. I have more than 15 years experience in designing convenient interactive solutions. I‘m an Axure Fu Master with a focus on complex and interaction-heavy experiences. Since 2009, I work as a freelance user experience & information architecture consultant for digital agencies, startups and companies. Before becoming independent, I served as head of a ux team at denkwerk, one of Germany's largest digital agencies. My home base is Cologne Germany, but I already worked for clients in Switzerland, Belgium, Denmark, United Kingdom, Portugal, Turkey and Finland. I have a master's degree in digital media from the University Bremen and the University of the Arts Bremen and a diploma in computer science from the University of applied sciences Kaiserslautern. I am an active speaker and author on information architecture and usability topics in Europe. Through my intercultural and English- speaking educational background and extensive work with global brands like Nokia or UBS, I am used to work in international environments. No matter if website, web application, standalone software or touch screen, I help clients developing an outstanding user experience for their digital products or services. As great user experience is always the result of a great team experience, I enjoy working closely with client & team members either on-site or remote. Based on the associated domain knowledge, competitive research and my professional experience, I guide stakeholders through the process of shaping a digital vision out of their business requirements. In face-to-face meetings and workshops, I help transforming the management goals into concrete and realistic actions. I help agencies developing strategic key ideas, digital visions and outlines for their pitch presentations. Together with the visual design team, I create moods and mock-ups showing the overall design direction and general user experience paradigms. For specific screens or screen sequences, I elaborate in detail the page structures, patterns and elements. I am experienced in preparing, conducting and analyzing user tests either on-site or in use labs, ranging from pure observation over contextual inquiries to active user particiption like card sorting sessions. Based on the user research, I create personas, scenarios and user journeys. When the budget does not allow extensive user research, I can offer to conduct both formal and informal expert reviews like a competitive analysis, cognitive walkthroughs or heuristic evaluations. Although expert reviews do not replace user tests, they can still provide valuable insights. I am used to generate creative ideas or solution proposals for specific tasks in a collaborative environment. By applying hands-on creativity techniques, for example brainstormings or methods from the design thinking toolkit, outstanding ideas can be created. I help to transform them into sketches or prototypes that communicate the proposed idea to the stakeholders. Either if you start with the desktop version or the mobile first approach, you have to think responsively from the beginning. Every module, behavior and pattern has to be taken into account in order to minimize unexpected side effects in a later step. I am used to work with responsive frameworks like Bootstrap and know about common limitations and constraints. Shaping a well structured information architecture is the foundation of every large-scale website and an essential part of my work. My typical deliverables are a content inventory, a taxonomy and a concept for the navigation system. I often conduct card sorting and tree testing sessions in order to validate the proposals. From 2008 to 2013, I ran C-Inspector, a web-based tree testing service. Based on the requirements, sketches and pitch proposals, I create wireframes for the needed pages, page types or user journeys. The level of detail depends on the actual project and ranges from high level page schematics or drawings to detailed digital blueprints. I am used to create wireframes in Axure and work on them collaboratively as a shared project. I often work in projects where my client’s final delivery is a set of html templates and the backend implementation is done by a third party provider or the customer himself. In these cases, I create detailed specifications and flow diagrams, covering all possible system interactions and exceptions that need to be implemented. I am used to various spec formats ranging from print out ready pdfs to enterprise wiki pages. I am using Axure for years now and with every release it gets more powerful. Typically, I create low or high fidelity prototypes for pitch presentations, user tests or workshop demonstrations. To look more realistic, I often embed real layouts. In my experience, Axure serves very well for visualizing specific features like responsive behavior or certain micro interactions like parallax effects in order to discuss them with your stakeholder. Before becoming independent, I was head of a user experience team at denkwerk, one of Germany’s largest digital agencies, where I lead several junior ux designers. Since then, I occasionally work as an interim ux lead, responsible for improving individual skills, providing support and assistance and keeping projects on time and budget. In the recent past, I worked on several large-scale agile projects where I mostly served as conceptual lead and overall user experience responsible, ensuring excellent visual design and interaction quality in each sprint. I am a used to integrate user experience aspects into the agile world, manage user stories, discuss results with the product owner and analyze burn down charts.